Scan of the Triplett Trumpeter from May 24, 1943. 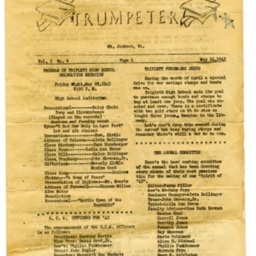 The Trumpeter was a newspaper produced by the students and staff of Triplett High School in Mt. Jackson Virginia. Four (4) pages total.